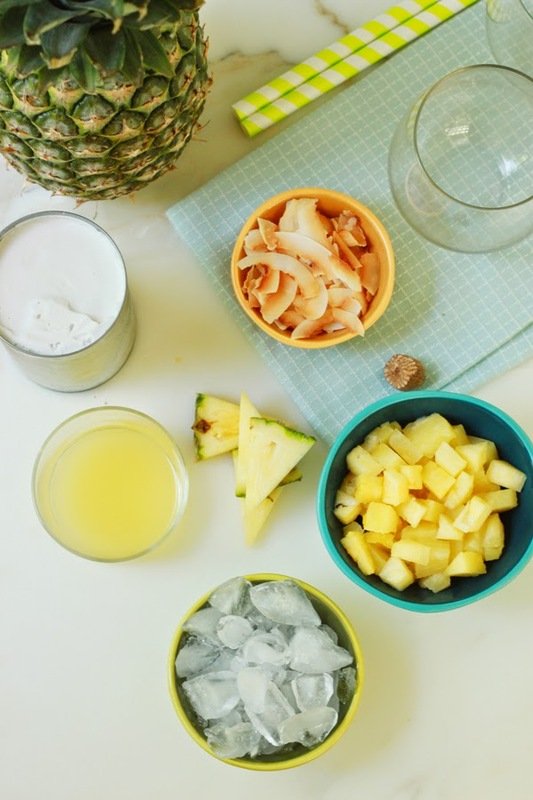 Let's pretend this Pineapple Coconut Lassi is a breakfast cocktail, okay? Because the world just needs more breakfast cocktails. Plus its kind of like a Pina Colada in smoothie form. As I said early this week - we've been drinking our summer away in smoothies around here (especially since I can't drink any cocktails right now) and lassis are one of the yummiest, not too sweet smoothies we all need to be drinking more of. A lassi is traditionally made with yogurt and mango, seasoned with a little salt and served on the side of spicy grilled meats. 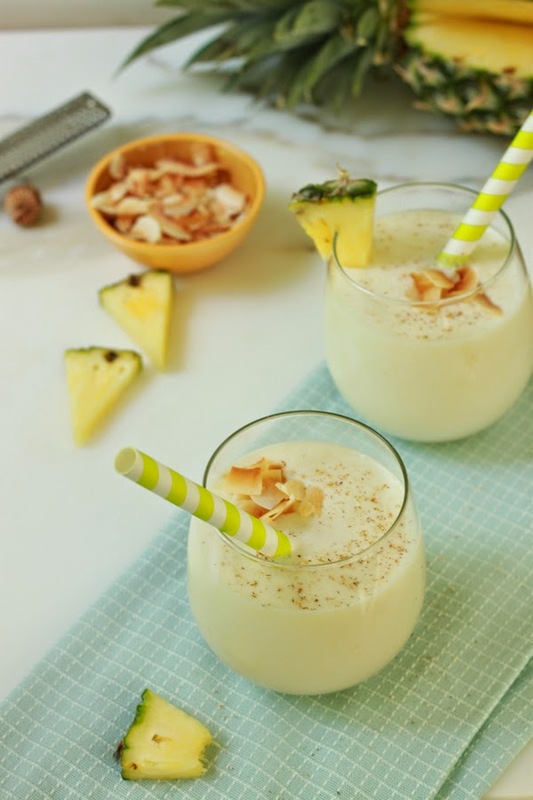 This Pineapple Coconut version uses coconut milk in place of the yogurt and pineapple instead of the mango, which makes it pleasantly sweeter than a traditional lassi. 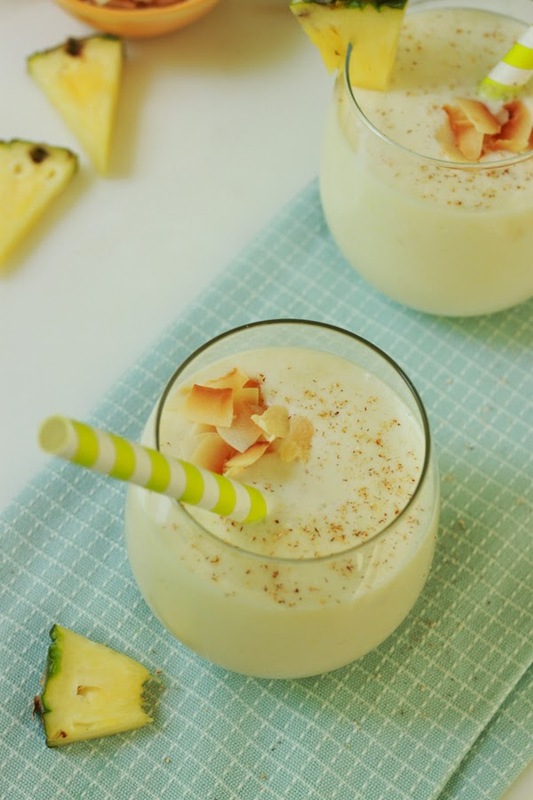 You can use fresh, canned, or frozen pineapple for this Pineapple Coconut Lassi. I can't verify that this would be 100% delicious with a little bit of dark rum in there, too (but my husband swears it is…). What's your favorite summer smoothie?